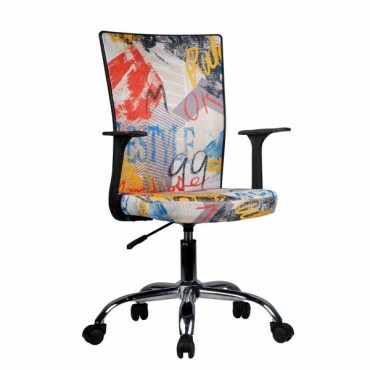 Office chair upholstered with quality fabric, which is decorated with different patterns. 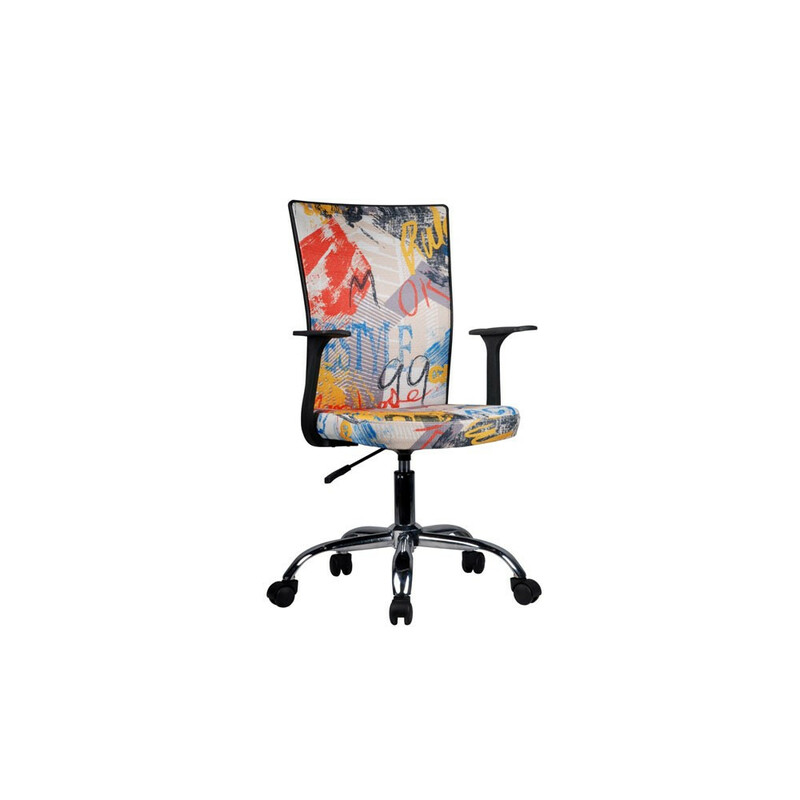 It has swivel function and is height adjustable. The removable plastic armrests are included. The base is chromed. Max. weight capacity is 90 kg. The height of the seat is 44-54 cm.